Education: Phil is an accountant and resides in Marietta, Georgia. Career Highlight: Phil has participated in Athletics since 1950;Track and Field since 1960 with a few years of hiatus from time to time. 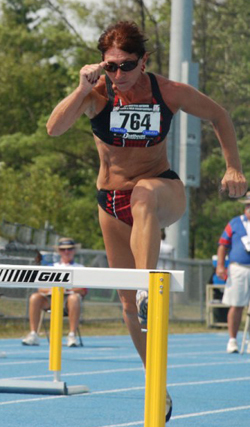 She has participated in Masters Track and Field since 1980. The Latest: Phil was named by the WMA in 2008 as the “Female Athlete of the Year.” She is considered by most as one of the greatest female athletes of all time and we are thrilled to have her as part of the Houston Elite Track Club.